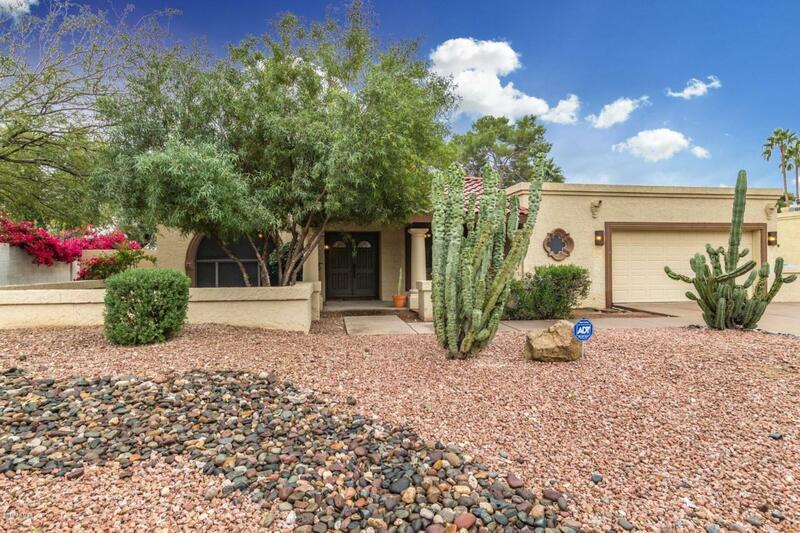 Stunning 4 bedroom 2 bath home, minutes from everything- Desert Ridge, Kierland and PV mall! 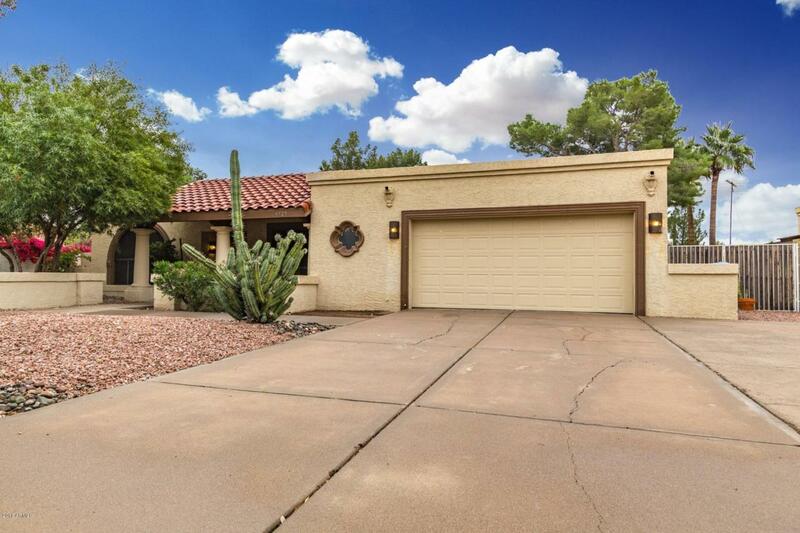 North/South facing home features large living area, formal dining, spacious eat in kitchen with double ovens, cooktop stove, refrigerator and pass thru window to patio. 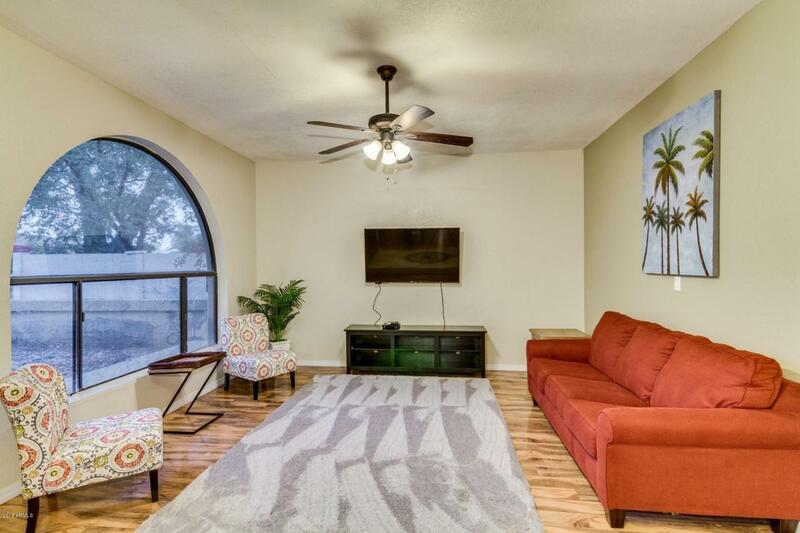 Family room has an amazing wood burning fireplace, large laundry room with an additional storage room. Large Master bedroom has amazing ensuite with his and her shower and walk in closet with barn door. Second bathroom is beautifully updated as well. No carpet in this home! Travertine and wood laminate floors throughout. 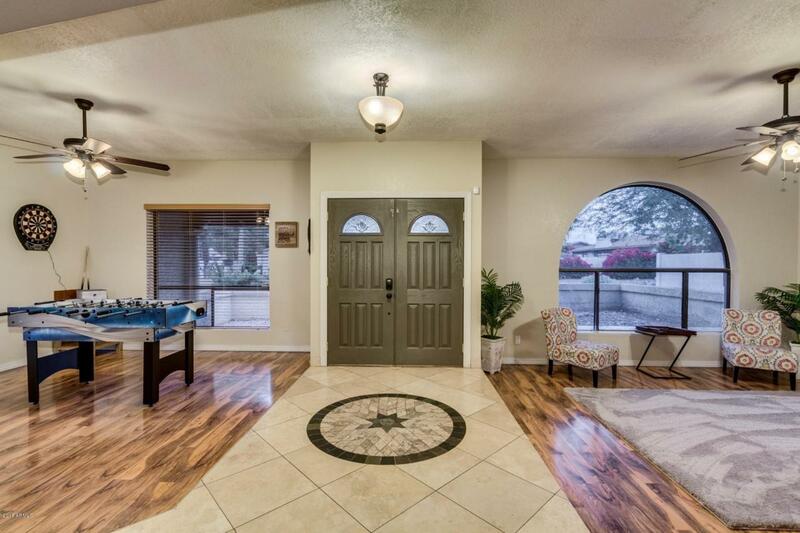 Back yard has a large covered patio, built in charcoal grill, and sparkling pool with new heater! This is a must see home!